Style trends keep evolving to suit the tastes of changing times. Modernizing ethnic wear is one very popular current trend and indo-western fusion wear is preferred by most indian women these days for a traditional look with a touch of contemporary style. 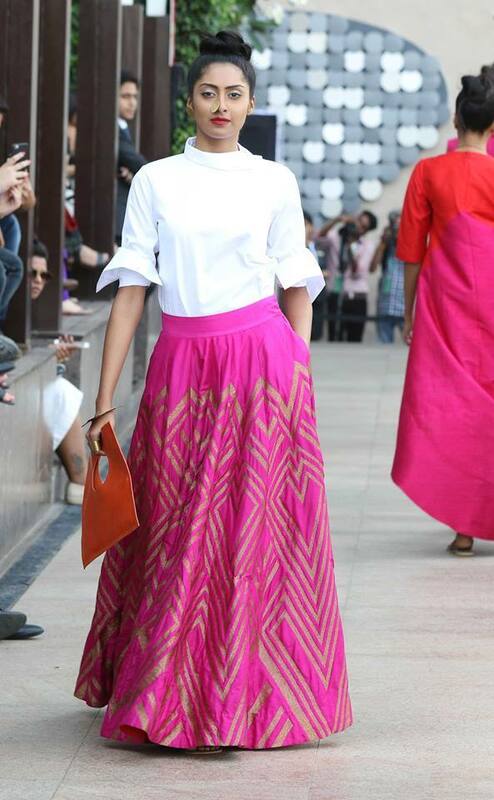 Styling a flowy lehenga skirt with a shirt is the new in thing in weddings these days. 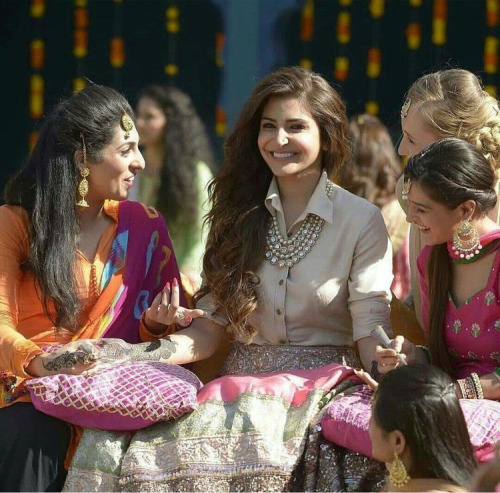 Anushka Sharma in ADHM was spotted in a lehenga paired with crisp white shirt for her mehendi look in the song 'cutiepie '. I loved this chic lehenga look instantly which is equal parts modern and equal parts traditional. The layered jewellery on the shirt blouse gives a more dressed up wedding appropriate outfit. You can try this lehenga skirt and shirt choli combination for your friends wedding, sisters sangeet or your own mehendi! If you want a youthful and fun ethnic look then this hatke pairing of shirt style Choli with Lehenga skirt is just Purrr-fect. Anushka Sharma isnt the first to be spotted in this shirt-lehenga combination and this idea has been pretty popular at fashion weeks before. Pair your lehenga and shirt blouse with extravagant rani haars and knot the shirt on your waist for a more hip funk look. This is also a nice way to re use your wedding Lehenga. Just use a crisp shirt from your wardrobe and pair it with your lehenga, also skip the dupatta. 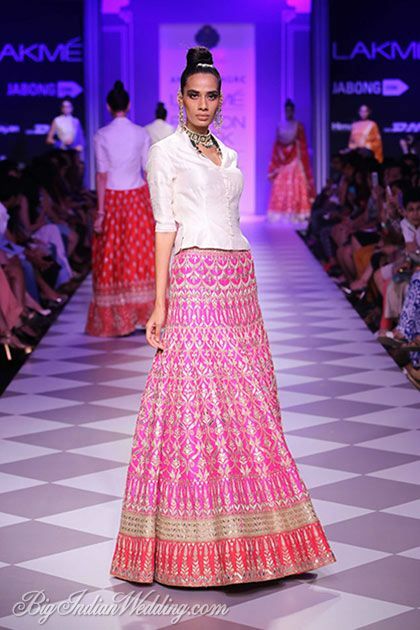 What do you think of Shirt style Choli with Lehenga skirt Would you wear it?